Sample tweet: "Ladies, here's a tip: if a man quotes a line you don't recognize, it is either from 'The Godfather' or 'Caddyshack.' #guarantee"
It's too bad that the final rose has been granted on the current season of The Bachelor. 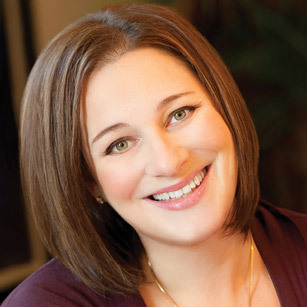 Rarely has there been such an ideal pairing of material and writer as there was with the schlocky ABC reality show and self-proclaimed chick-lit author Jennifer Weiner, whose Bachelor live tweets were a must-read. ("The camera lingers on Chantal's tears like a fat kid's tongue on an ice-cream sandwich wrapper," she wrote of a contestant jilted in the finale.) But don't click "unfollow" yet: the author of Good in Bed and Fly Away Home's smart tweets on writing  particularly the ongoing feud between chick-lit authors and quote-unquote real women novelists  make for entertaining, indispensable reading.